Air Conception motors are the perfect match for the challenges New England throws at pilots. They are reliable motors light enough to hike into remote fields, durable enough to take a fall, and powerful enough to rise above the treeline quickly. For up-to-the-minute prices, visit the official Air Conception Price List. For more reasons I sell Air Conception, see: Why Air Conception? Pictured here, a Nitro 200 with an Electric Starter and a Clutch. 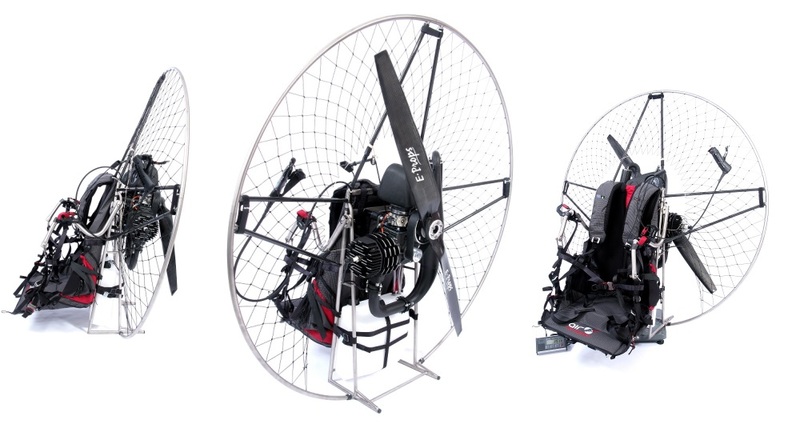 The Nitro 200 is a lightweight motor capable of lifting even heavy pilots and tandems into the air with ease. Its titanium cage is durable enough to take short drops without deforming. 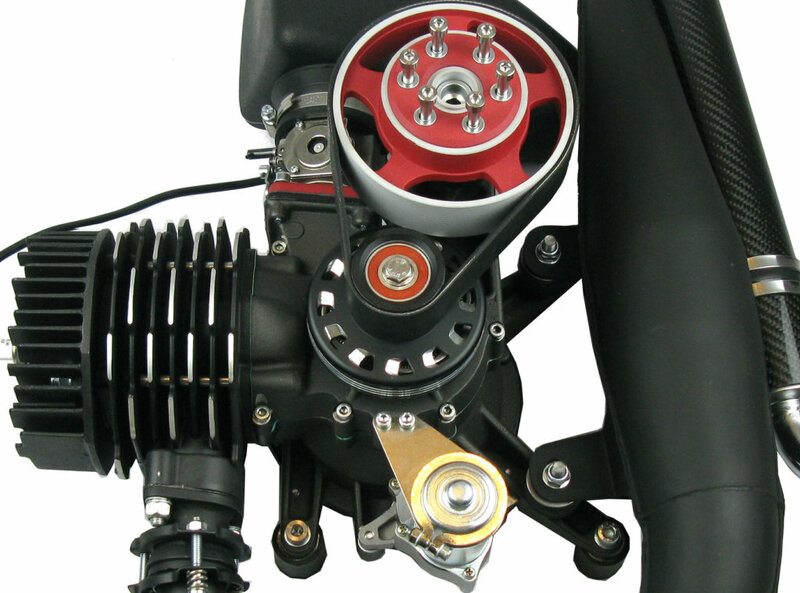 With the tuned power produced from its 190cc engine, you can expect low maintenance and a long life from the Nitro. The Nitro is 41 pounds in its lightest stock configuration, though lighter is possible through customization. I recommend this motor for pilots weighing 120 – 240 lbs. Pictured: a Tornado 280 with an Electric Starter and Clutch. The Tornado 280 is all about power-to-weight! 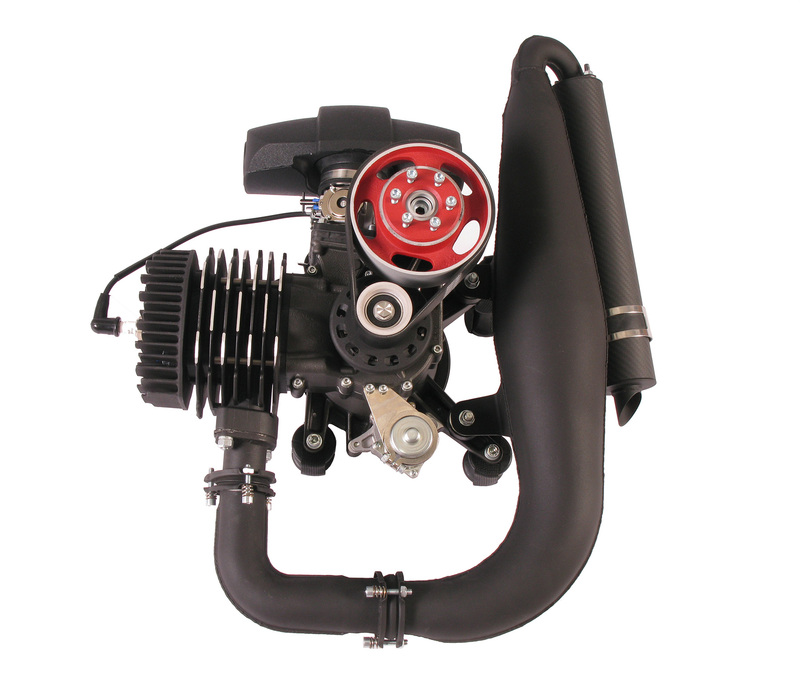 In ready-to-fly configuration, it weighs only 4 pounds more than the Nitro 200, yet it produces 33 horsepower. Even in the short-take-off environment of New England, this motor is overkill for all but the heaviest pilots and tandems. If you’re over 230lbs or you are a pilot experienced with handling lots of power, this is your motor.